Environmental Leadership is very important to George Rode and his crew at Stadium Automotive. They have done an extreme amount to make as little impact to the fragile world as possible. Stadium Automotive has been awarded the stringent ECO certification administered by the City of Eugene. It is a voluntary certificate. The process requires response to a 120-question application, and inspections by the City of Eugene, the Department of Environmental Quality, and the EWEB waste water treatment plant. 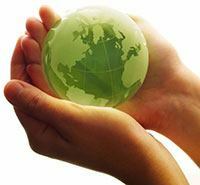 The Eco-Certification process exceeds local environmental requirements and focuses on air and water pollution prevention and hazardous waste reduction. Stadium Automotive is certified as a BRING Re:think business. Climate Masters at Work™ is an innovative program designed to educate and engage business leaders in resource efficiency and risk management to reduce costs and increase productivity, while also making smart environmental choices. 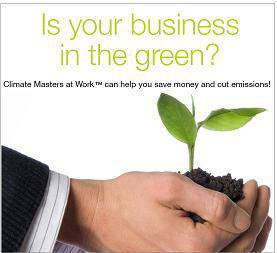 George Rode participated in the first pilot program, which was a 12 week series of classes, to become one of only 27 businesses certified as "Climate Masters". George and Stadium Automotive continues to engage in emission-reducing actions. Stadium Automotive offers loaner vehicles for some clients coming in for service and as a way to be ever more environmentally conscious, we have added bicycles to our "loaner fleet". Additionally, Stadium Automotive has been strategically located on the LTD EMX transit line and free tokens are available to our customers. Stadium Automotive has gone above and beyond by installing bulk systems to supply most oils and antifreeze used in car maintenance. This means less plastic containers going into the landfill (oil and antifreeze plastic bottles are not recyclable). Electronic composites are removed from vehicles and recycled at NextStep Recycling. Lighting has been updated to EWEB environmental standards and Stadium Automotive utilizes a ductless heat pump to heat and cool the office. The bottom line is we do whatever we can to make less impact on the environment.